A few weeks ago the Editor in Chief of Finland’s leading tech & innovation media contacted me. He had some good news: the Technology Growth Company of the Year prize is awarded to Aidon. Such recognition made me think for a moment: what have we done to deserve this prize? It also encourages us to move on. We have the passion, the will and the ability to develop and to win new races. When we established this company from scratch, all we had were good ideas. Perhaps it was a stroke of luck that seven guys who had been in this business previously as part of another company gathered together and dreamt of how things could be had limitations not existed. We thought, “What would we do differently?” We were very idealistic and we had big plans for the energy sector. Of course, this effort has called for a lot of preaching. It took longer than we thought to earn our credibility. During our early days, our competitors were telling our customers that Aidon was speaking nonsense and that what we set out to accomplish was impossible. When we began to gain references and create products, however, it allowed us to achieve momentum. We first focused on Finland, where we eventually became a market leader. We have established a position as a trusted partner with whom the Finnish DSOs want to engage in discussion and whose views about the possibilities and development of smart energy metering technologies are heard. After Finland, we then began our work in Norway. Following our previous marketing strategy, we did the same: exchanging ideas, a lot of influencing in terms of thinking. In Norway, we succeeded in capturing more than half of the market and in doing so, we secured our place as a respected player. And now we want to do the same in Sweden. On the one hand, you could say that timing had something to do with it. On the other, and more practically speaking, this continued success is due to the people at Aidon. Our specialists are trusted experts with solid and versatile experience. They care about our customers and our projects and are capable of designing products and services that are best suited to each need. We have delivered most of our solutions in the Nordic region. We have achieved a good position in the region because Nordic people – both big and small customers – are willing to adopt new technology. In that sense, it was an excellent place to start. In this business, it’s very important to be in continuous dialogue with these customers, who are themselves very open-minded and innovative. I’m pleased to share that since those early days, not a single customer has left us. We put considerable effort and resources into our business and product and technology development, and we aim to introduce something new and useful all the time. Evidence that we are on the right path is that our competitors appear to be following the development tracks we have started. The basic thing to remember is that we should all build this industry together: No single supplier can have 100% market share and fair competition requires a minimum of three players. It’s good that the entire industry is improving itself. Aidon is 14 years old. In the beginning we were seven guys – today we employ one and a half hundred experts. It has been quite an exciting journey for us so far. 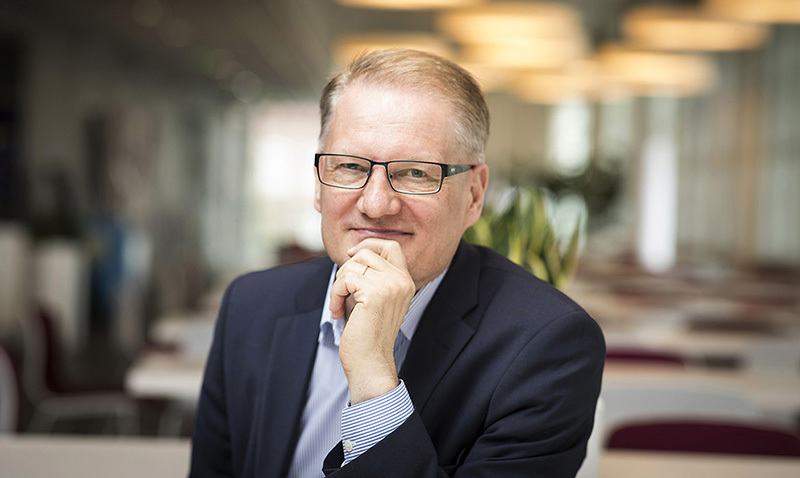 Slowly but surely, we have established our reputation as an innovative forerunner in AMM solutions which enable the vital digitalisation processes of Nordic DSOs. We are in this for the long term. We will continue to develop and deploy Industrial Internet and smart grid technology and services to our customers, and to grow further with them.